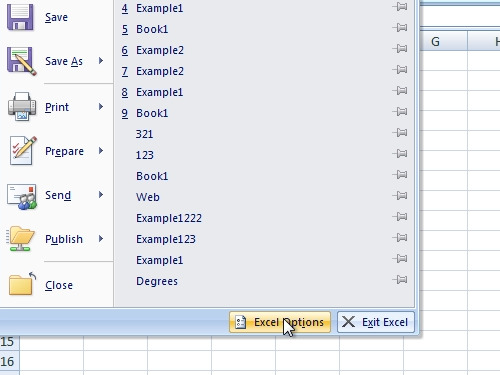 In this video tutorial we will show you how to enable excel macros. In order to enable excel macros, open the Microsoft Excel. Go to “excel options”. 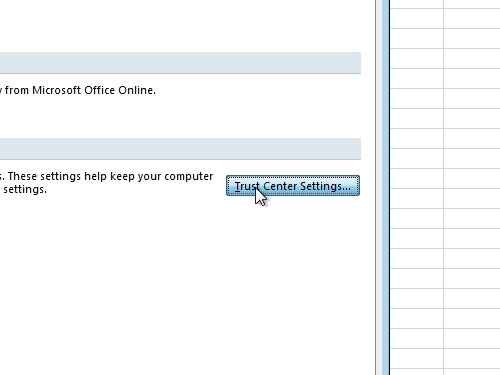 Click on a “Trust Center” tab and choose “Trust center Settings”. In the following window choose “Macro Settings”. 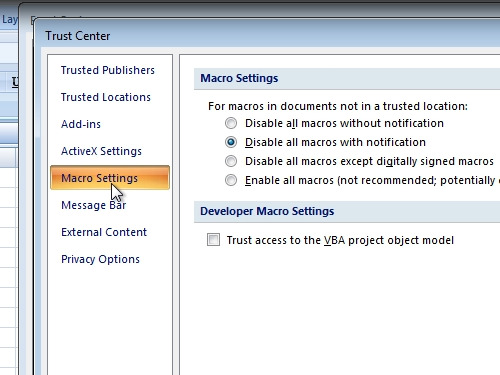 Select “Enable all macros” and click “ok”. Now your excel macros are enabled.